I didn’t have the heart to tell you that you had another 12 years of schooling ahead. I hadn’t yet worked out what I thought about the ‘system’, let alone what it had done to me almost three decades earlier. Now, 12 years on, I recognise that very little has changed. It’s still about fitting into a system that works for some but not for others. For me, the system didn’t work. I battled through every month of my senior years wondering why I didn’t fit, why I couldn’t apply myself and memorise the texts for the assessments that would ultimately measure my success. Inevitably, I gave up. Inevitably, mediocre became my norm. Inevitably my confidence was shot both inside and outside of the schoolyard. I was convinced that I wasn’t good enough. You have enjoyed a different experience. You have a totally different approach to life. You learn as the basis for your success in life, not to pass tests. You challenge. You question. You see failure as an opportunity for growth. You understand that your greatest learning comes from living outside of your comfort zone a little more every day. This perspective has set you up to endure any challenges that life throws your way. You have resilience. You’re ready! So as you get squeezed out of the other end of the education sausage machine, I’m going to remind you of three things that we have discussed since prep. 1. Your ATAR score is just a tool. A tool that is one measure of your success in complying with a fabricated system that will let you take another step into another fabricated system called “university” – if you choose to. Your ATAR score seems so important to you right now. Let me share a secret. It’s not. Whatever your results, you will be a success even if you don’t get into the degree that you want. Even if you don’t get into the ‘career’ that you think that you want. How do I know this? Because of your attitude and approach to life. You truly believe that “Happy is here, not there!” You choose to be happy. That means more for your future than you know. 2. University – should you choose it – will be some of the best years of your life. Partly because of what you will learn but mostly because of the people you meet, the experiences you have, and who you will become. Don’t worry too much about the lessons, beyond what you have to. Because the pace of change is so fast that much of what you will be studying over the next few years will be obsolete by the time you’re employed in the workforce. I feel as though we are back in prep now. Your almond eyes are still open so wide with questions. But sadly, the education system is not going to be able to keep up with the pace of change. So, my only suggestion is to back yourself, be open to all the possibilities, be flexible, be free, have fun, choose what interests you, research well beyond the realms of what you’re studying, find your sweet spot, find others who share your sweet spot and keep living on the periphery of your comfort zone. Never lose your enthusiasm. It is your greatest weapon. And trust the most important person in your life – you! You are capable of achieving anything that you choose to. I know. I know you better than anyone. You amaze me. Choosing is the hard part but you will find the answer. And you know what? There’s no guarantee that it’s the ‘right’ one. But it will be a step along the way. 3. Career is a dirty word. I’ve never liked it. Entrepreneurship – now there’s a word I like. Regardless of where you end up or what choices you make in your working life, live the life of an entrepreneur. Always pushing forward, taking risks, using your words, being fearless, resourceful, clear, scared, focused, tenacious, persistent, breaking the rules, a lover of challenge and change. Back yourself once you understand what matters most. Be the change that you want to see, right? You can be a sporting entrepreneur, a scientific one, an artistic one, or a business one. Just be an entrepreneur. Oh, yes. There is an unspoken societal and family expectation that you will one day start a family of your own. And it will come roaring through every part of your body right at the very same moment that you’re at the peak of your learning and growth. All I can say is that the best learning and growth that I have had in my life is with and through you. Remember: every step is a choice. Your choice. My work is done and still I’m here. Never forget: you amaze me. 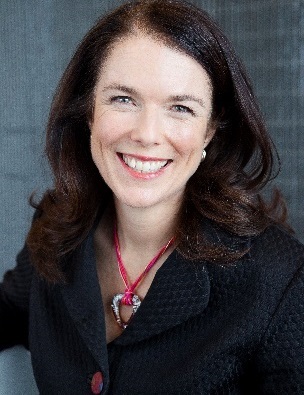 Soozey Johnstone is a writer, thought leader and advisor to senior executive teams. She is the author of the recently released book I Am The Problem, outlining the 9 key obstacles that lead to organisational success, and why some businesses grow and prosper while others inevitably stumble and decline.